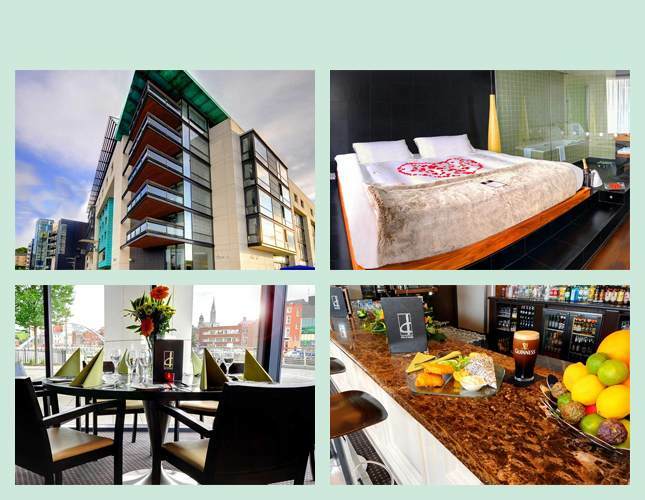 Your Irish trip starts at 2:00 pm when you meet your tour guide at your Dublin hotel. Set out on a tour of Dublin’s highlights to view Trinity College, General Post Office, St. Patrick’s Cathedral and the General Post Office. Visit Kilmainham Gaol where many of Ireland’s leaders, including Robert Emmett, Eamon DeValera and Padraig Pearse, were imprisoned during the 19th and early 20th centuries. In the evening meet your tour guide and travel companions over a welcome drink. This morning drive through the delightful scenery of the Wicklow Mountains to Blessington for a guided tour of stately Russborough House, a Palladian mansion filled with interesting treasures of art and photography. The afternoon is free so that you may use your independent open-top bus voucher with a visit to Guinness Storehouse or General Post Office. 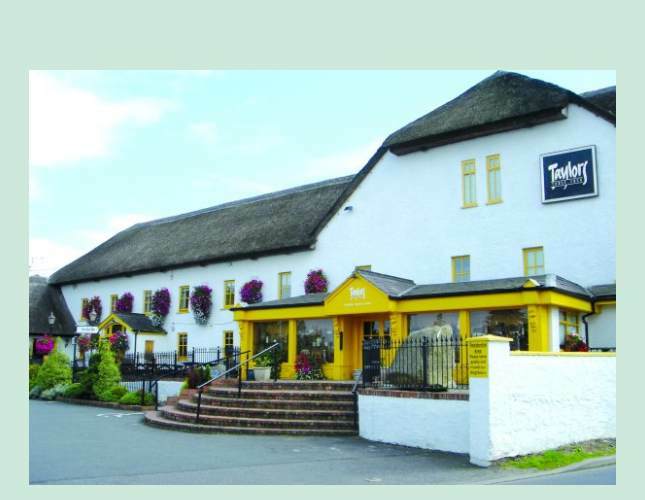 Head to Taylor’s Three Rock Pub for dinner with traditional music, songs and step-dancing. 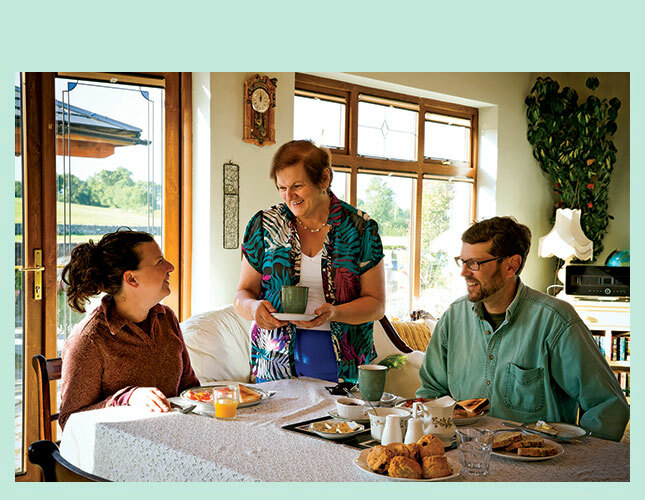 Travel through Kildare to visit a traditional farmhouse to meet the owners and learn about country living while enjoying tea and freshly-baked scones. Drive south to Waterford to tour the House of Waterford Crystal. Watch experienced craftspeople create all the various stages of production, from glass blowing and cutting to the final polishing of magnificent trophies. Visit the nearby Medieval Museum, a modern building which incorporates a 13th century Choristers’ Hall and the 15th century Mayor’s Wine Vault. 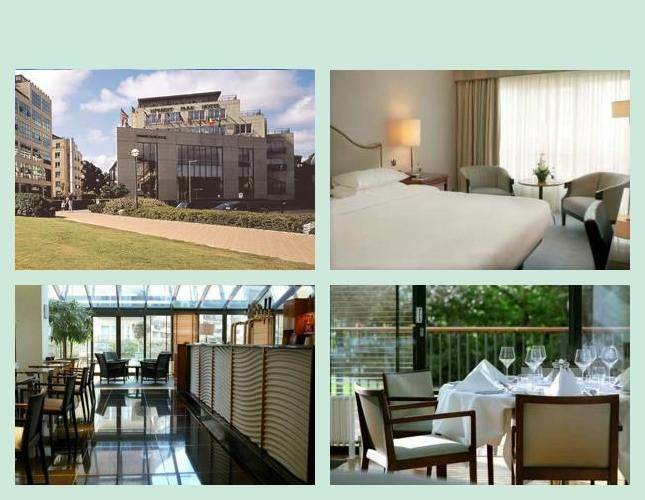 Continue along the south coast to Cork for an overnight stay. Start your day with a local guide on a brief walking tour of the city and the English Market. 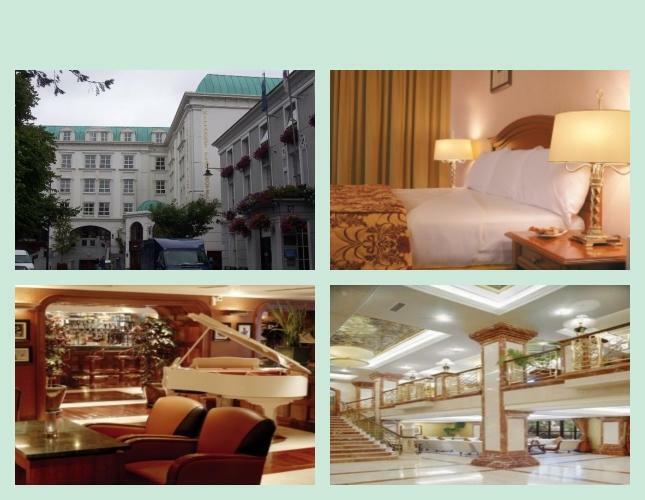 A few miles outside Cork, visit Blarney Castle and climb to the battlements to kiss the famous “Stone of Eloquence.” Also visit the Blarney Woollen Mills where you can find quality Irish-made goods of all types. 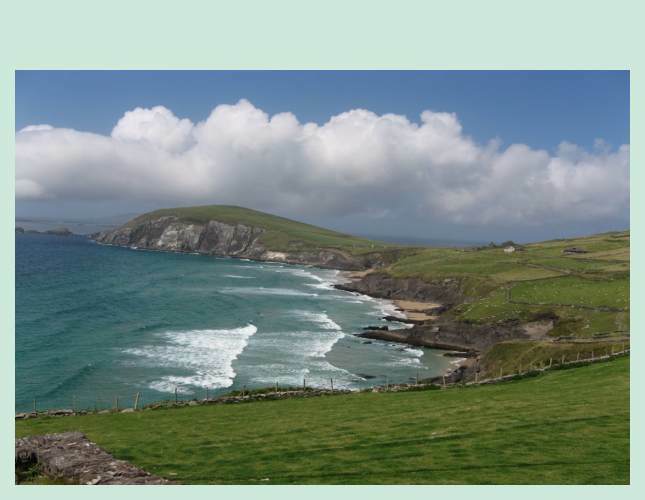 Drive through Counties Cork and Kerry to the colorful town of Kenmare. Stop at Moll’s Gap for great views of part of the Ring of Kerry and watch trained dogs herding sheep. Check in to your hotel and relax before dinner. 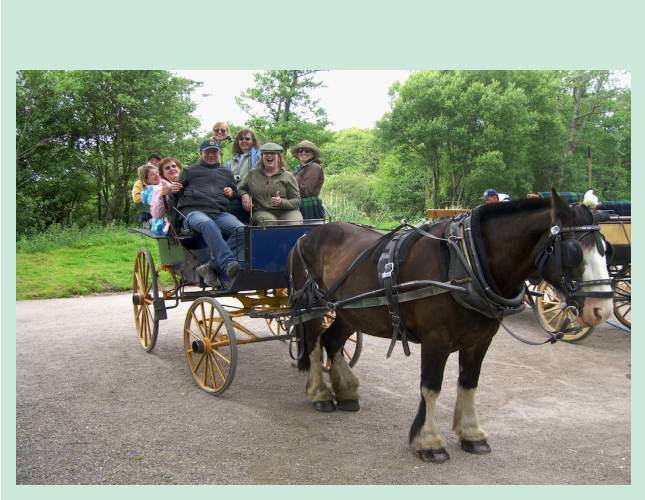 Take a traditional horse-drawn jaunting car ride to Ross Castle to view Lough Leane, largest of Killarney’s lakes. 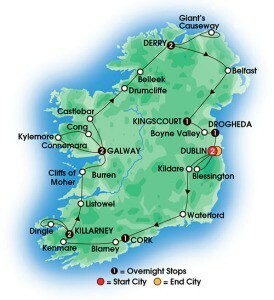 Explore the scenic Dingle Peninsula to experience views of heathery mountains, sandy beaches and rocky headlands. Visit the Blasket Centre in Dunquin to learn about the offshore Blasket Islands, inhabited until 1953 by hardy farming and fishing families. Return to the town of Dingle and enjoy a light lunch before returning to Killarney. The rest of the day is free. Sample tea and scones in a pub in Listowel, associated with the writer, J. B. Keane. Travel north and cross the wide River Shannon Estuary by ferry and drive along the coast of County Clare. Here view the famous Cliffs of Moher, an impressive wall of rock that rises 700 feet above the Atlantic Ocean. 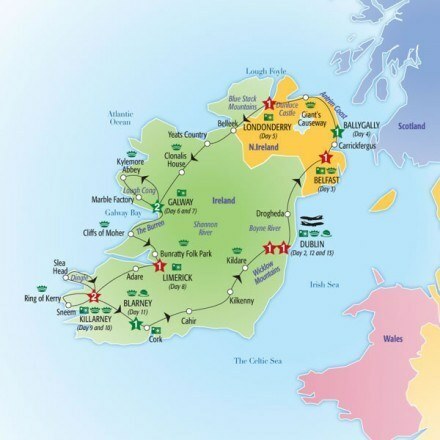 Walk to O’Brien’s Tower to get views of Connemara and the Aran Islands. 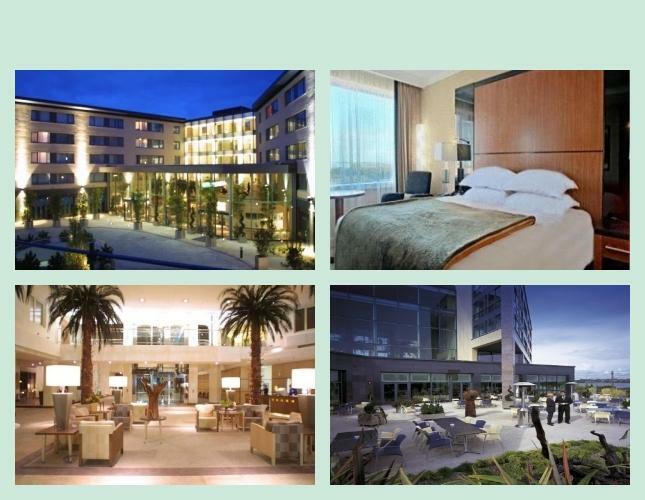 Continue to Galway for a walking tour and check in to your hotel, which overlooks Galway Bay. Drive to Cong where “The Quiet Man” movie was made in 1952. A guided walk will show you places featured in the production. Travel through Connemara for sweeping views of misty mountains and shimmering lakes. 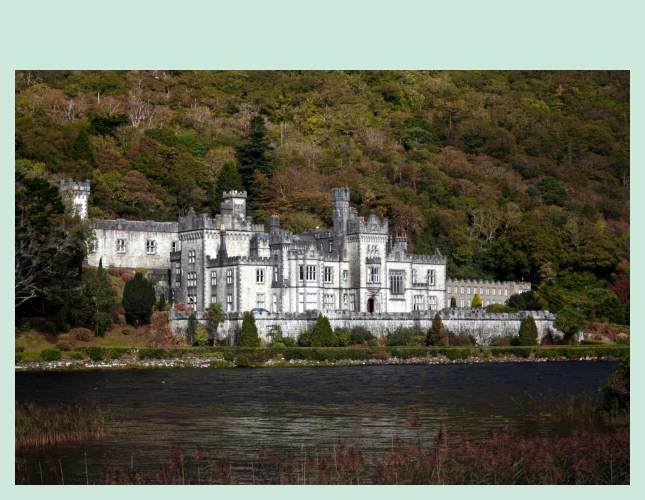 Stop at Kylemore Abbey for a walk through the elegant mansion, set beside a tranquil lake. Enjoy a casual lunch and watch crystal cutting at Connemara Celtic Crystal before returning to Galway. 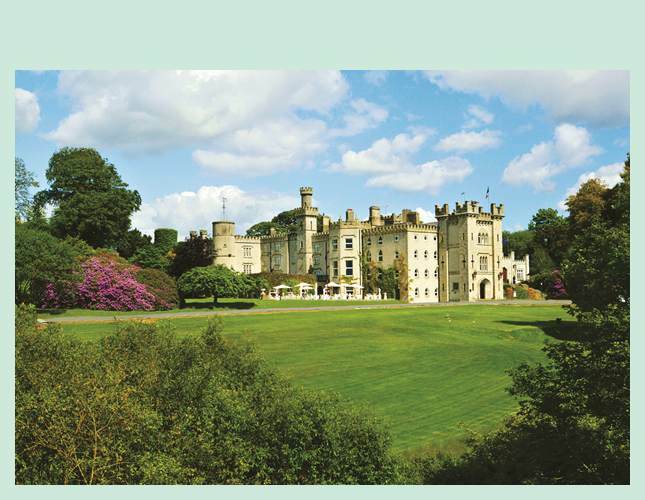 Travel north to Castlebar to the Museum of Country Life which displays articles used in everyday life during the 19th and early 20th centuries. Continue to County Sligo and pause in Drumcliffe Churchyard at the grave of the writer, W. B. Yeats. Visit the Belleek Pottery Factory where craftspeople shape and decorate clay into delicate pieces and stop in Donegal town. 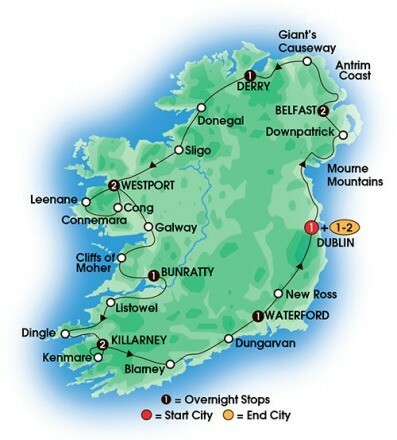 Continue your drive through the majestic Barnesmore Gap to Derry. Join a local guide for a walking tour around the ancient city of Derry to see the Guildhall, St. Columb’s Cathedral, the Diamond and the 16th century walls. Stop for photos at the ruined Dunluce Castle and explore the Giant’s Causeway, huge hexagonal basalt columns formed over 60 million years ago. The oversized rocks have given rise to many legends. See turf cutting at Shean’s Heritage Farm and return to Derry for free time. 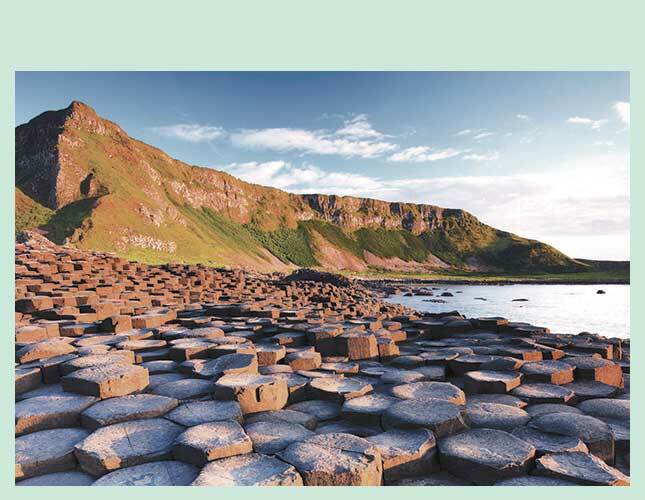 Drive to Belfast for a panoramic city tour followed by a visit to Titanic Belfast to learn about this famous liner through state-of-the-art displays. 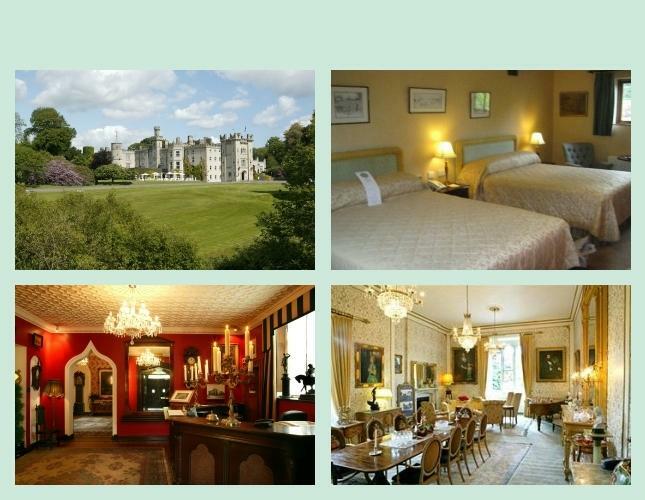 Travel to Kingscourt and your castle hotel, built in 1760. Arrive mid-afternoon so that you can enjoy this lovely property and maybe play the 9-hole golf course. After dinner in the Court Restaurant, enjoy a display of Irish step-dancing. Visit the Boyne Valley Visitor Centre to learn about the 5,000-year-old burial tombs of Newgrange and Knowth. Tour one of them to see how primitive people managed to align huge boulders precisely. Continue to Drogheda to join a local guide for a walking tour to see the head of St. Oliver Plunkett, the first Irishman to be canonized in 700 years, and 14th century St. Laurence Gate in the medieval walls. 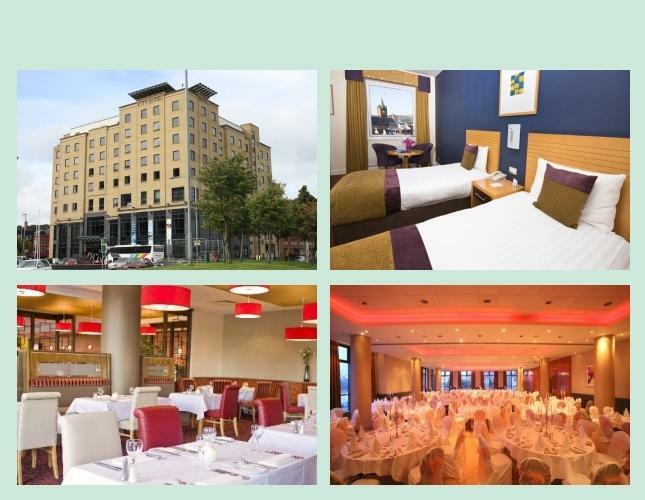 In the evening enjoy a farewell dinner with live music at Wm Cairnes Gastropub, located in a former brewery. Your tour ends after breakfast. 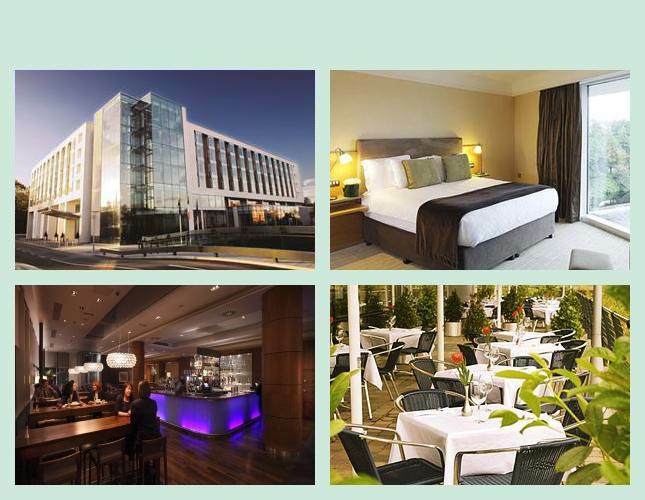 Drogheda is 30 miles north of Dublin Airport so ensure you have appropriate transfer arrangements made.